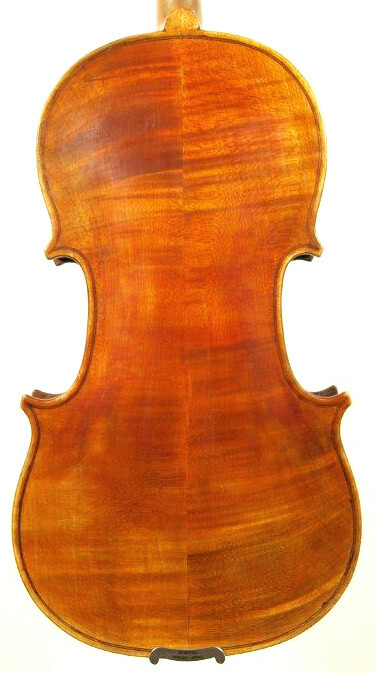 Petite full size Matthew Furber Violin in very good condition with a strong tone capable of producing many tone colours. A flexible instrument suitable for both quartet and orchestral work. Matthew Furber, nephew to English violin maker James Furber, was obviously influenced by the work of Vincenzo Panormo who was in London at the time creating a stir with his fine Stradavari copies. 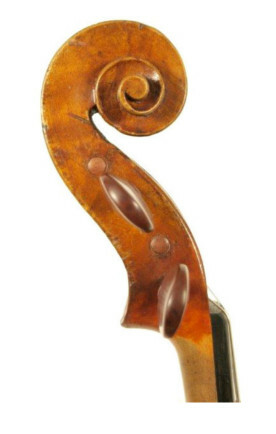 This is one of the violins made circa 1815 that marks the final death knell for the “English Amati” model as the qualities of the flatter arching of the Stradavari ideal take hold in London. In the style of Panormo and Henry Lockey-Hill, the front of this violin has a strong reeded look to the grain, resulting from the striation of the winter growth. The edge-work and scroll are masculine but attractive again reminiscent of Henry Lockey-Hill (a contemporary London maker, another early adopter of the Strad model). The violin is a petite full size in very good condition with a strong tone capable of producing many tone colours. A flexible instrument suitable for both quartet and orchestral work. When we look at instruments that have increased in value over the years, they are always instruments in good condition that are good examples of their maker, from the best period of their maker’s career. This particular violin meets all these criteria. Available for trial. Please contact philip@philipbrownviolins.co.uk or 01635 35465 to make appointment. Philip Brown Violins has new instrument stock on a regular basis. Having been in business for 30 years we have a large client base and often Philip can find specific instruments on request. Please contact us if there is a specific instrument that you are looking for. We have a wide range of customers from 5 years old to established professional musicians. Philp Brown Violins provides excellent customer service, offering honest advice on all aspects of instrument care, insurance. We also offer the best rental service in the country.